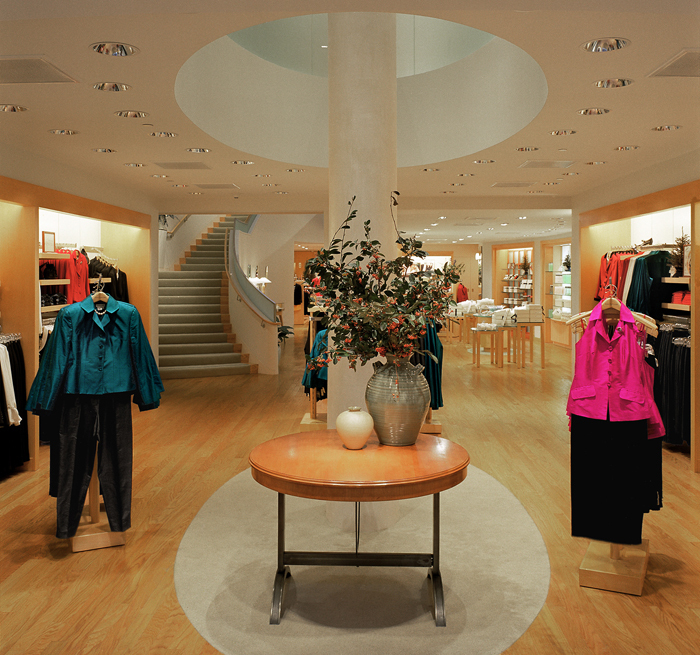 Ann Taylor Union Square is one of the premiere West Coast stores for the high-end women’s clothing retailer. Auerbach Glasow provided architectural lighting design for the four-story, 25,000-square-foot store in the heart of San Francisco’s prestigious shopping district. 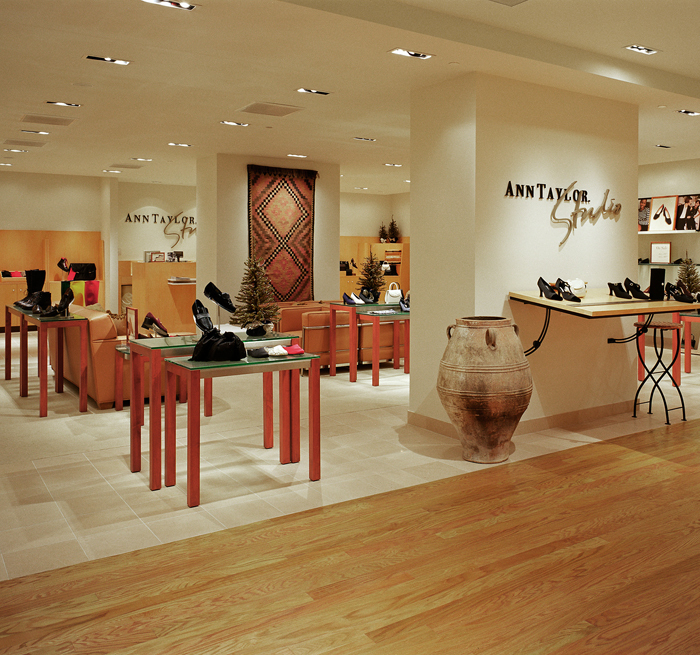 The lighting is similar in design to the Madison Avenue flagship store which Auerbach Glasow also designed. 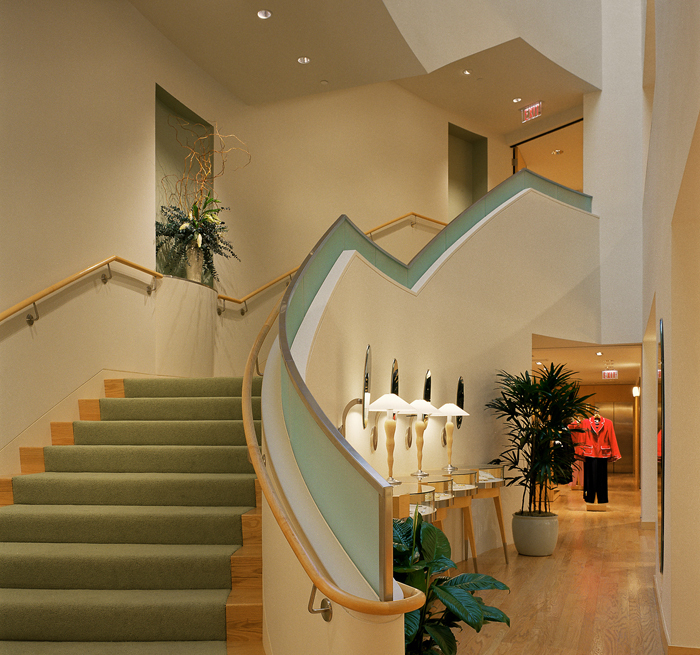 The firm created a simple, understated but elegant lighting story reinforcing the Ann Taylor image. The lighting concept uses areas of light and shadow to identify and emphasize the ideas of pathway, pause points and perimeter display. The lighting had to comply with California’s strict energy regulations without comprising its contribution to effective merchandising and the Client’s carefully tailored image.